Well. What can I say. I changed my mind. I’m allowed, right? And though it may seem as though I’m on a humor strike, be assured my sense of the absurd is still intact, and will no doubt surface again next week. Huge thanks this week to my very talented guest writers, and to sage of Quirky Nomads. Please send many cookies. Without them there would not have been a podcast this week. This week’s guest writers are Elizabeth Fitz and Miriam Felton – Stick it in a pit, and fire it – Interweave Knits Magazine – Steal This Sweater – Granny G-Strings – New Podcasts! 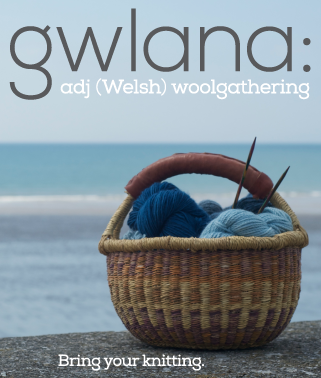 Red Light Knitting and The Knitting Cook – Special thanks to Elen Phillips of The Museum of Welsh Life and Sage of Quirky Nomads. Fascinating interview and great essays. I’m looking forward to next week! Brenda – have just spent a delightful early Sunday morning cooking and listening to this week’s show. I feel very ‘at one’ with the world now. Thanks so much! Hope everything with your son is ok. Will look forward to the update next week. I’m sorry to hear that you and your family are troubled. Many people are thinking of you and sending positive vibes your way. Thank you for producing your show, even in the hard times. Be sure to take care of yourself. I left you a big cookie in the form of a review on my website. Keep up the amazing work – I love the podcast. I am still working my way through the episodes (now at 26), so I am not quite current, but I hope that whatever is going on with the family will get better – sending you the strongest of good vibes. Hey Brenda! It’s been a sort of crap morning, and I got to work and was going down my bloglines list and saw you had a podcast up, so I started playing it before even reading the description and to my surprise, suddenly Sage was reading my story! Thanks muchly! It certainly made the morning better. Brenda: Thanks again for sharing my little world with all. My fiance and I sat and listened to your episode–I think he’s finally starting to understand my obsession with your podcast, and how exciting it is to be a part of it. Thanks again for the consideration. I hope I can make a habit of it! Brenda, yours is certainly the cadillac of knitting podcasts. Your voice is fabulously soothing, and you are a woman of great integrity. I don’t always agree with your opinions, but then that is the right of every strong woman, isn’t it? “Today’s Sweater” is my favorite segment, and I enjoyed this week’s interview. Yeah Brenda you’re just like a Cadillac. Hey great show this week. I loved the music and the talking bits very much. Just to say – I’m still listening, still enjoying very much. Just listened to you (v much after the fact) on Craft sanity, too, and am reviewing what I want to do with my life. Thanks. Brenda, I disagree with Kathy and Dave, you are truly the Prius of podcasting. Brenda, you are the purple Schwinn Sting-Ray bike with a sparkly banana seat of podcasting. I can top that! Brenda is the Qivuit of podcasting! brenda, brenda, wonderful yet again. thanks for everything! I just wanted to tell you that when I listen to your podcast I am transported back to Wales, which I visted all too briefly a couple of years ago. This trip was my husbands 25th wedding anniversary present to me. I’ve been an Anglophile since I was 10 and a knitter for the past 5 years or so. After 25 years of stuggling financially and working through all the issues married people have, it was truly the trip of a lifetime. Listening to your podcast is such a treat, for the sense of place, the knitting content and most of all, your wit and delightful personality. Well done, you. it’s great having you back on my iPod. I just want to thank you for introducing me to Peopod.net…and “Summer of life”. That song suddenly gave me quite a new look on a lot of things right now. Brenda you have invaded my head completely! I was at a yarn stall at the craft fair in Canberra last week. 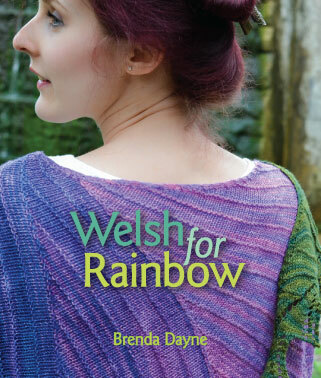 I saw some yarn from Wales and thought, ‘oh I wonder if Brenda knows this yarn.’ See!!! i loved listening to this episode! i’ve been lackadaisical about listening lately (wedding plans are consuming me!). however, i reached a happy medium today. i listened while i wrapped bubbles. yippee!